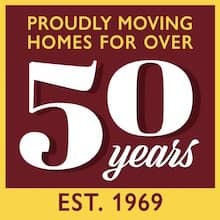 Dennis R. Rogers established Rogers Removals in 1969. To this day the company remains family run. Dennis R. Rogers is the companies chief surveyor and also carries responsibilities for overall customer service and staff training. Karrie Waters or Lyndsey Murfet are usually our customer first point of contact and they are responsible for all administration work. Dennis M. Rogers has responsibility for day to day operations, fleet management and staff training. The company holds a full International Operators Licence and both Dennis R. Rogers and Dennis M. Rogers hold a certificate of professional competence from the Ministry of Transport. We are signed up to the BAR Code of Practice – click here to download a copy. We are very proud of the reputation that we have built up within North and North West London as well as Southern Hertfordshire. We realise that our customers are our best adverts. We are members of the British Association of Removers and FEDEMAC. We are also accredited to the British and European Standard Mark for Furniture Removals, BS EN 12522 as well as the British KiteMark standard for domestic removals. In order to gain these accreditations, we have had to demonstrate that we operate to our industries highest standards and comply with strict codes of conduct. We are regularly inspected by the British Association of Removers and Quality Standard Services to ensure that; our staff are well trained, we use quality materials, we offer adequate insurances, our admin procedures meet requirements, we monitor staff performance and client satisfaction, our vehicles are properly equipped and well maintained. Staff training is very important to us. Every member of our operational team has undergone in-house training carried out by our experienced foremen as well as the companies director, Dennis Rogers. Staff are trained in health and safety best practice, correct lifting methods, specialist packing techniques, customer relations and correct methods of loading removal vehicles. Our staff also realise that politeness, helpfulness and courtesy are imperative at all times. In order to monitor customer satisfaction, we ask every customer to complete a quality questionnaire after we have carried out their move. We are proud to say that since Jan 2003 (when records began), approximately 96% of our customers have rated our service as “Excellent” and approximately 3% have rated us as “Good”. Read more about our customer feedback and view every hand written and signed testimonial that we’ve received since 1/1/10 (as of 31/5/15 there were over 7700 on display) by clicking here. 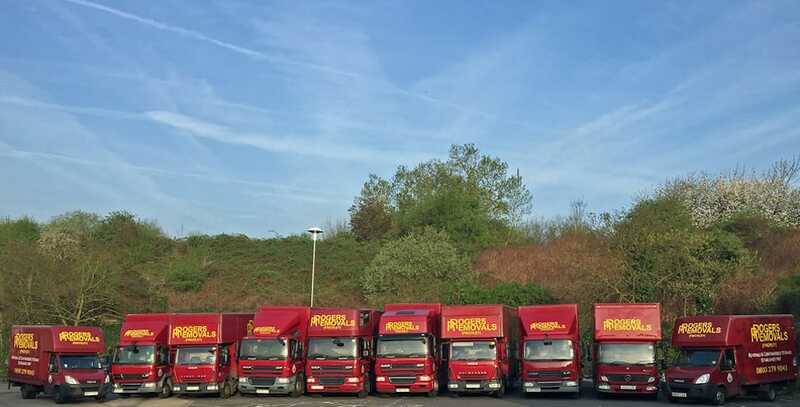 Our fleet of specialist removal vehicles receives a full mechanical inspection every 6 weeks with servicing taking place every 12 weeks. All vehicles are kept clean and are kitted out with adequate transit protection blankets, webbing and the necessary barrows and trucks. We are also able to organise cranes and lifting platforms in order to move items to or from difficult access areas. 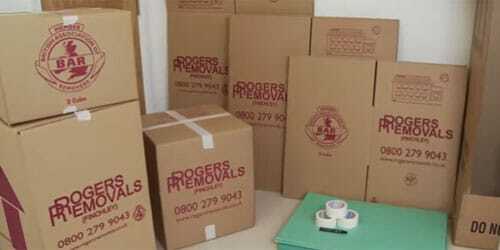 We believe that you can not find a better or more dedicated removal company than Rogers Removals. Why not put us to the test?